Xiaomi’s new smartphone brand POCO launched its first smartphone the POCO F1 in India couple of days back. The new smartphone comes with flagship specifications at an affordable price. Notably, it comes with a brand new MIUI based launcher called Poco launcher, which is now available for download on all MIUI based Xiaomi devices. Xiaomi confirmed at the Poco F1 launch event that the Poco launcher would be available for all MIUI based devices to download from the Play Store starting August 29. However, you can download it right now. If you are having a Xiaomi phone running MIUI 9, you can download the Poco launcher. Before making its way to Google Play Store, an APK of Poco Launcher beta v0.1.5 has been released by the company in an MIUI forum post. You can download it from here and install on your MIUI running phone. Moreover, if you want to have a better experience of the Poco launcher, you should also download the wallpapers that come pre-installed on the Poco F1. You can visit this link to download the wallpapers just like the newly launched Poco F1 on your Xiaomi phone. 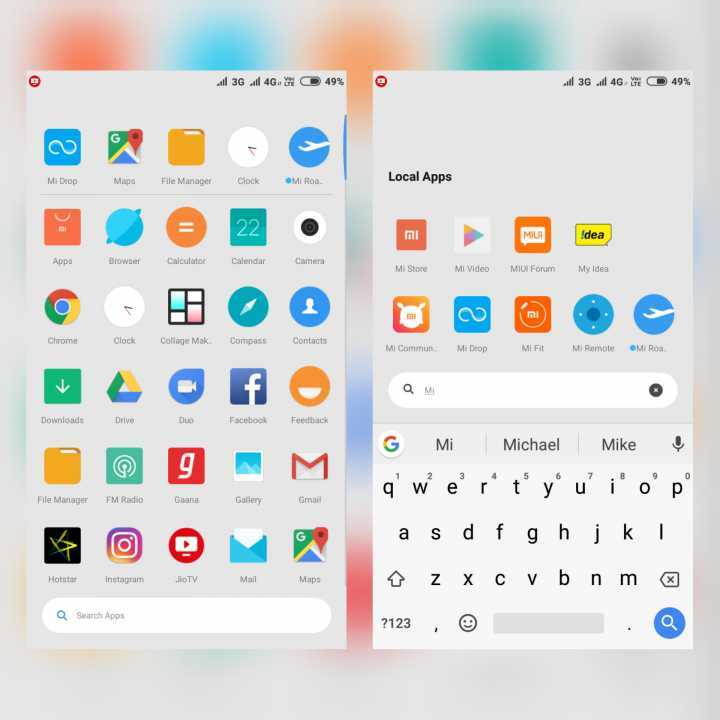 The new Poco launcher has some cool features, notably an app drawer which is one of the key features that was missing in the MIUI. The app drawer has features like the automatic grouping of apps based on categories, third-party icon packs support, and hidden apps space. There is a search bar at the bottom as well. Xiaomi’s new sub-brand Poco’s first smartphone Poco F1 launched in India and it comes with MIUI 9.6 based on Android 8.1 Oreo. Notably, this is customized MIUI for Poco F1 and it will get MIUI 10 soon. Its other features are a 6.18-inch FHD+ notch display, Snapdragon 845 with LiquidCool technology, 12+5MP dual rear camera, and 4000mAh battery etc. Poco F1 price in India starts at Rs. 20,999 and it will go on sale starting August 29.